List smaller blocks and sell them with ease on this exchange. Sign up and follow price fluctuations. Place your order for more IPV4 address space and have it fulfilled at short notice. Now you can easily list your IPV4 space here and get the best possible price! Buyers will get the best price as pricing won't be increased by high commission rates. It's easy, just fill out the form and your blocks will be listed. Are you a buyer? List the blocksize you wish to purchase stating your best price free of charge. Welcome to IPV4 Exchange International. On this website you can list the IPV4 Blocks you wish to sell or wish to buy. When we find a match between a buyer and seller, IPV4 Exchange International will initiate a new transaction using a third party escrow. 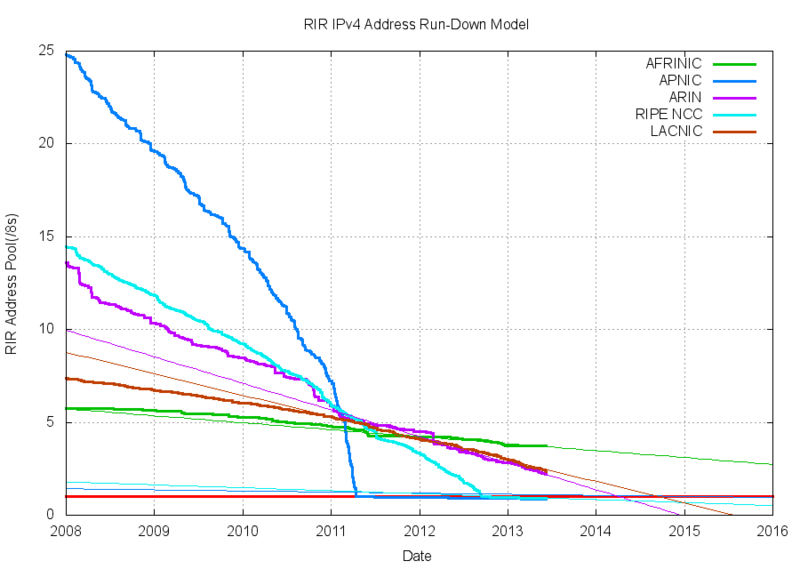 IPV4 internet address space is running out rapidly. In the North America and Canada region there are no IPV4 addresses left. Any business requiring more address space will have to resort to buying their IP blocks. In Europe, where RIPE NCC is the regional internet registry, each member is only entitled to a last /22. This translates to 1024 IP addresses. Any company needing more than that will have to buy from fellow members having space left. In 2011 the first IPV4 transaction took place between Nortel and Microsoft at USD 11,25 per IP address for 666.624 IP addresses. The biggest problem that the current IPv4 market has is that there are very few indicators of price. It is IPV4 Exchange its mission to take out all this clutter.